Kunoichi is the term for practitioner of ninjutsu (ninpo). But it also know as a female ninja. Kunoichi is usually assigned to find an enemy's weakness by approaching the target and find out instantly the target weaknesses. They attack and weaken the opponent mentally by the beauty and illusion. 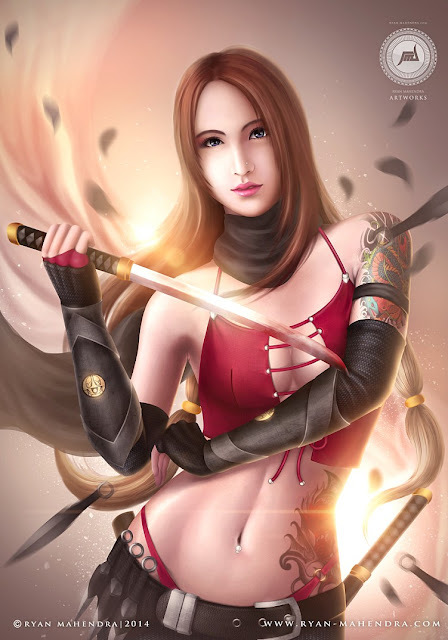 This is my original character done using Photoshop CS5 and Artmaster iii.